Escape on a jungle safari. Explore the wilds of South America, Asia and Africa. Witness crab-eating monkeys diving for treats. 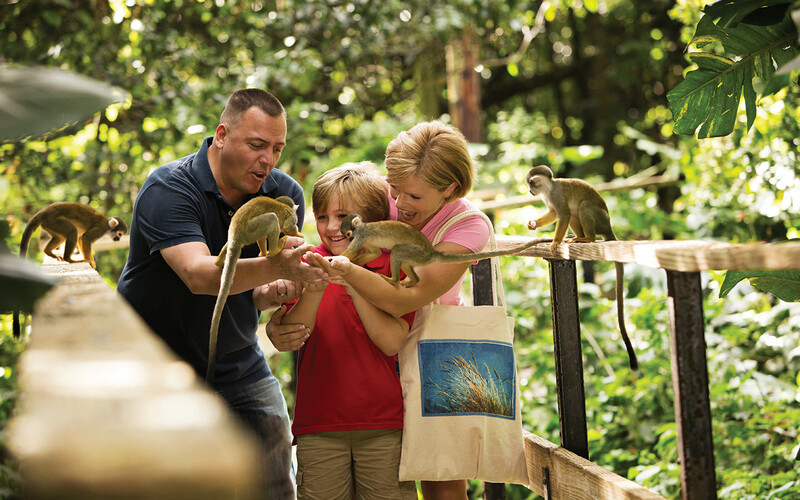 Delve into the lush, tropical Amazonian rain forest filled with hundreds of exotic monkeys. Be in awe of the Great Apes. Also contains one of the richest fossil deposits in Southern Florida, with more than 5,000 specimens. Ask about the new Rainforest Adventure Tour. Offers continuous presentations, snack bar and gift shop. Open daily 9:30 a.m.-5 p.m. Adults $29.95 plus tax, children (3-9) $23.95 plus tax, seniors (65 and older) $27.95 plus tax.